Rate this Article Here are five great horse games that you can download and play wherever you may be using your Android-powered mobile device. Horse games are very addictive. More so for the mobile-based horse simulators. Here are five great horse games that you can download and play wherever you may be using your Android-powered mobile device. Looking for high quality graphics and excellent gameplay? Then go ahead and download Photo Finish Horse Racing. Featuring casual and high-intensity races, you’d really find yourself at home here whatever your level of interest in horse racing may be! The game’s strongest features are the controls you exercise when you’re racing. You don’t have to do anything to steer your horse; rather, you concentrate on boosting its speed with the correct timing so that it can win the race! This feature is very simple, but it’s also what makes the game very addictive once you given it a try. If you want diversity in your experience, then My Horse is the game for you. This one is loaded with a wide range of gameplay features. The goal is to prevent the feeling of monotony when playing a game. If the game focuses on just plain racing, then it does feel a bit repetitive after a time. Not so with My Horse - in here, you have a virtual world to explore. You can raise a number of horses, train them, groom them, feed them, and even take pictures of your lovely equines to share to your social media. Of course, the ubiquitous races remain a staple as most horse game players are competitive creatures. Don’t let the apparently dull and undeniably lengthy tutorial fool you: HorseHotel is, in its core, a very challenging mobile horse game that tests your skill at responding appropriately to certain situations. Why? This is because the gameplay lets you take care of a number of horses each with their individuals needs or even personalities. This is how it works - a number of horses “checks in” to your hotel with their owner asking you to take care of them for a couple of in-game days. You have to check each and every horse’s parameters so you can adequately provide for their needs. You have to feed them, groom them or train them, all according to what they require. A sequel to the overwhelmingly popular Jumping Horses Champions, Jumping Horses Champions 2 takes the gameplay up to the next level. The game retains its predecessor’s core gameplay features and adds some of its own. First, it lets you choose your horse from more than 20 variations of three breeds: Anglo, Thoroughbred and Quarter. You can then take this horse and train it to achieve exceptional running and jumping performance! You can then take the equine to the track and compete for a prize. You can also groom and equip your horses, but that only comes in the paid version of the game. 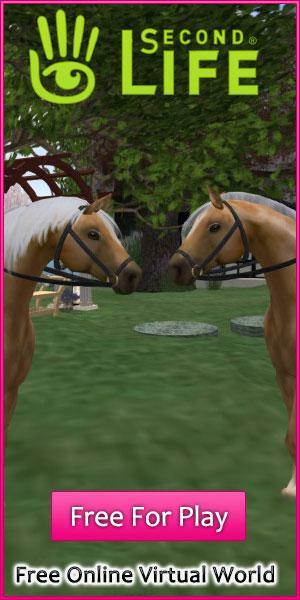 Last but not the least is Star Stable Horses. This is, as you might have guessed, related to the Star Stable Online game that’s also equally popular. The game basically gives you the task of rearing a foal up until adulthood. You do by this taking care of its needs daily, i.e feeding, grooming, hoof picking, among others. You are given a set of Daily Tasks that you must faithfully perform every day until the foal reaches level 10. You can then choose to transfer the horse to your Star Stable Online account, or reset to take care of a new one. You can also train your horse as it is important for it to gain experience.